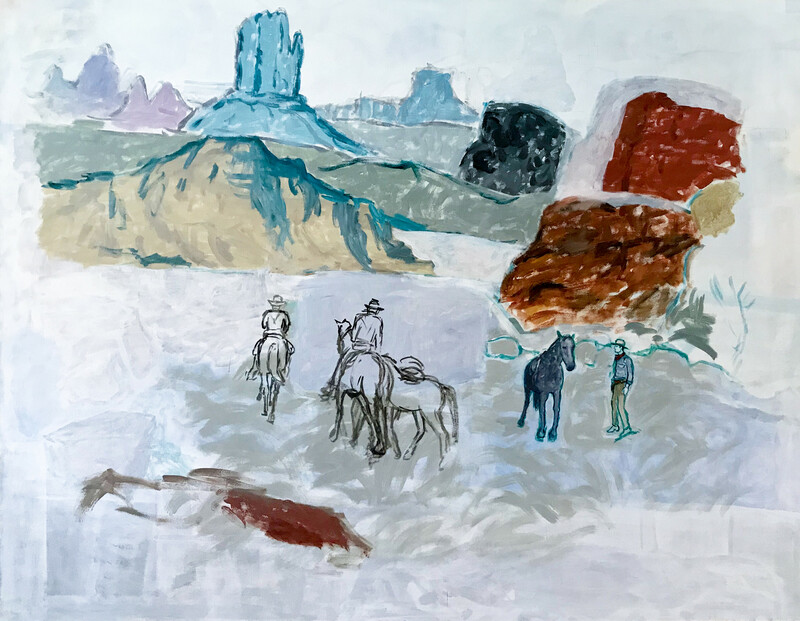 THE LAW OF THE SADDLE, new works by Linda Blackburn and her adventures in the painting of Western Sagas, will be featured in the main gallery at Artspace111 for the 2018 FWADA Spring Gallery Night. 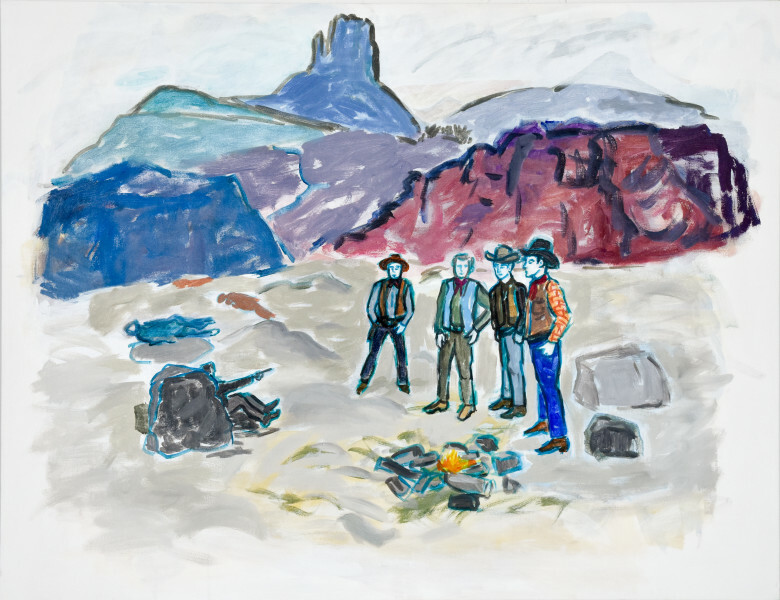 Throughout her illustrious career, Linda Blackburn has engaged with a diversity of artistic media, including ceramics, sculpture, paintings, monotypes, and film and video. 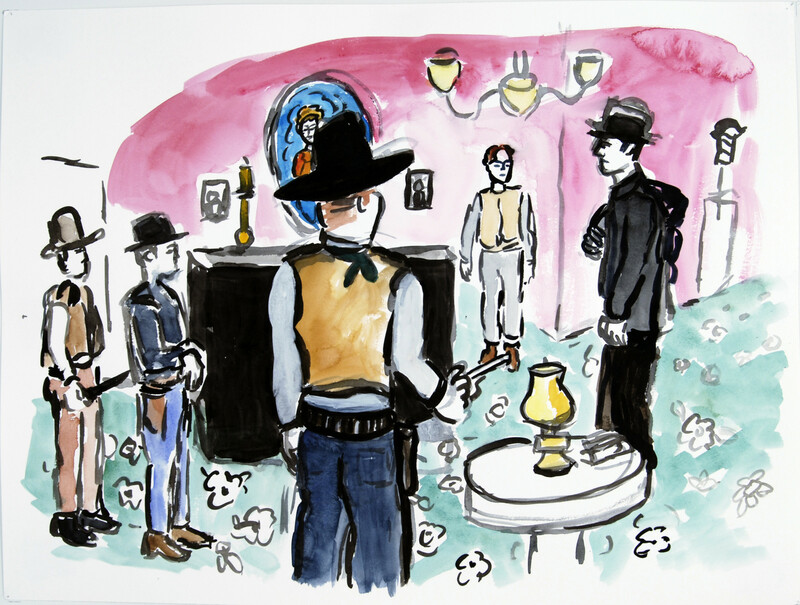 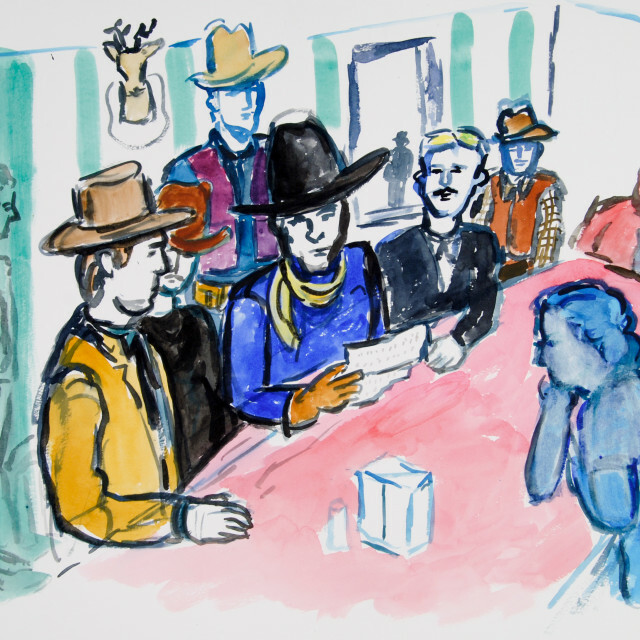 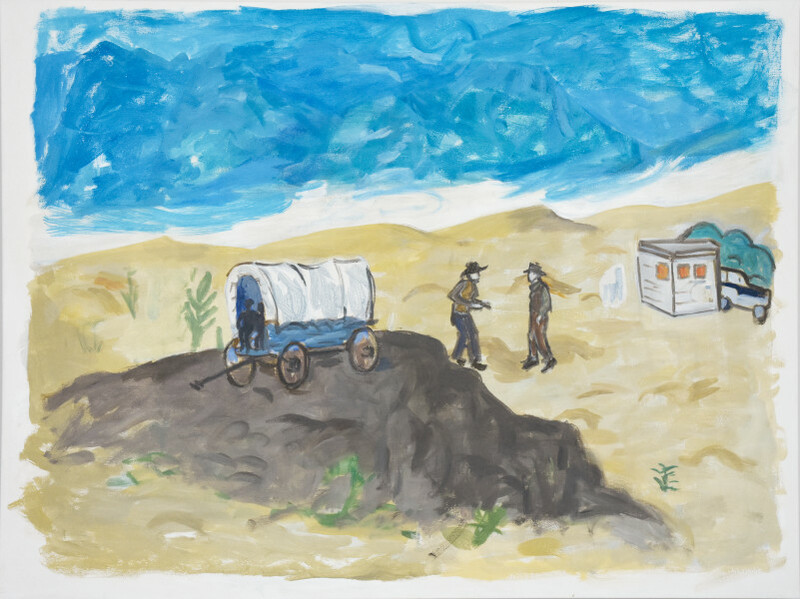 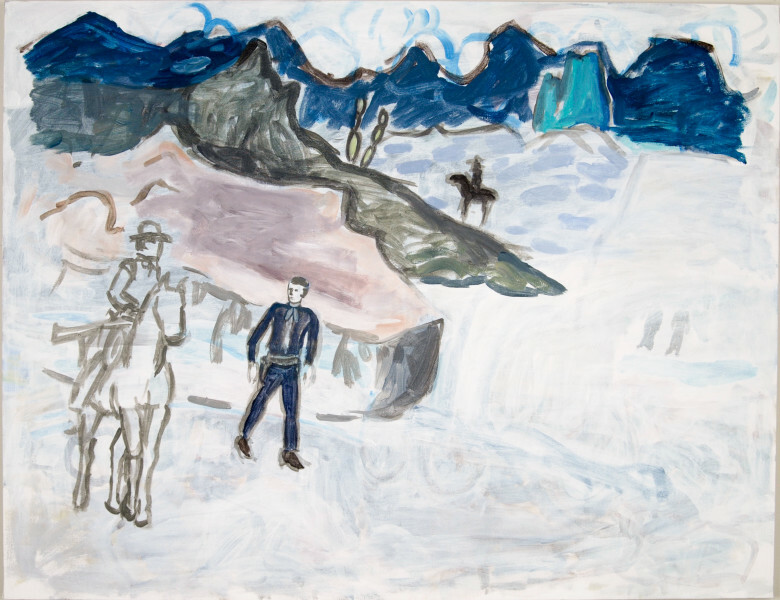 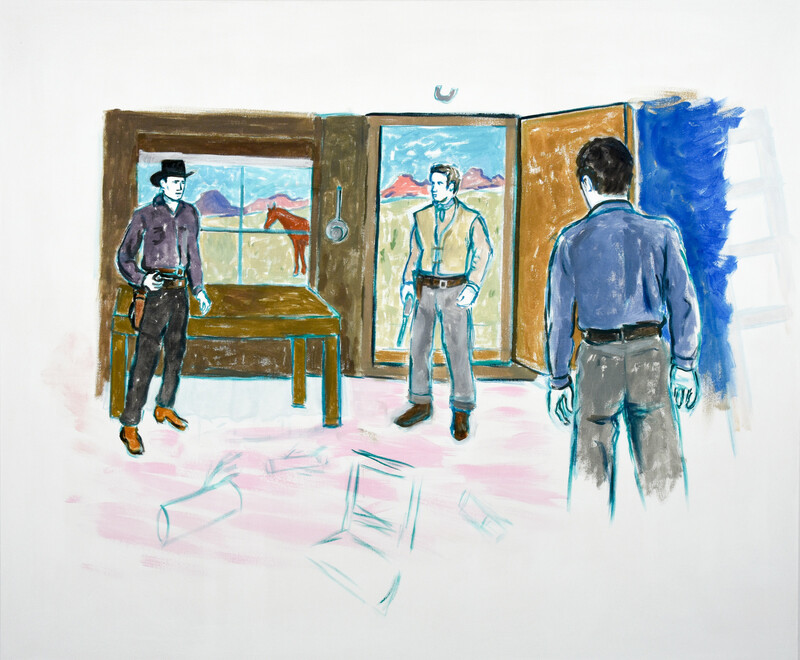 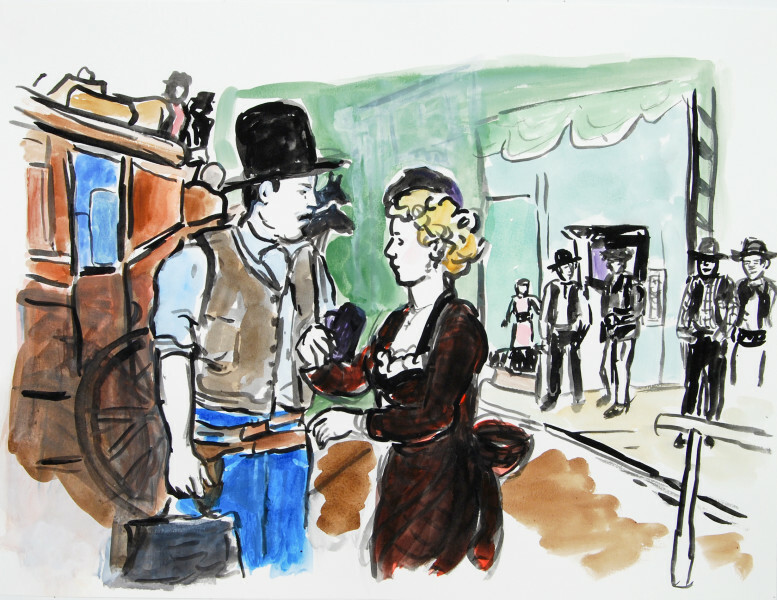 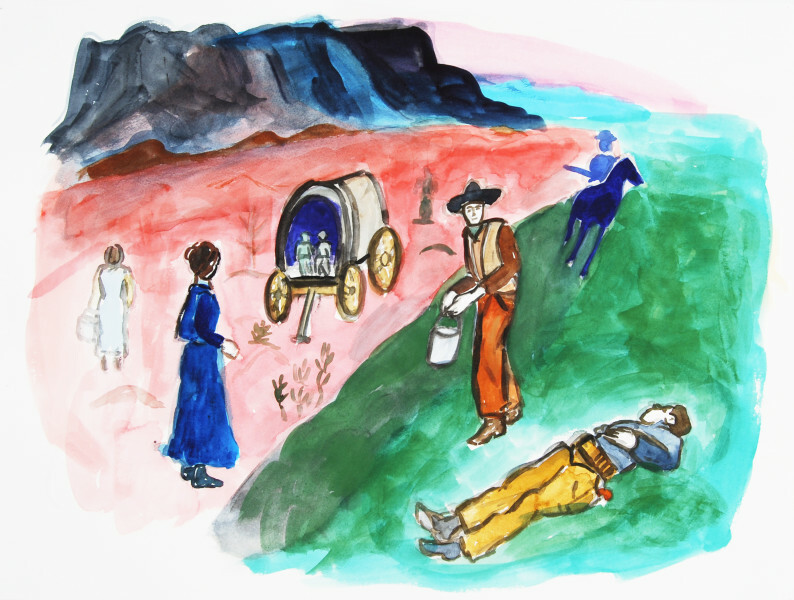 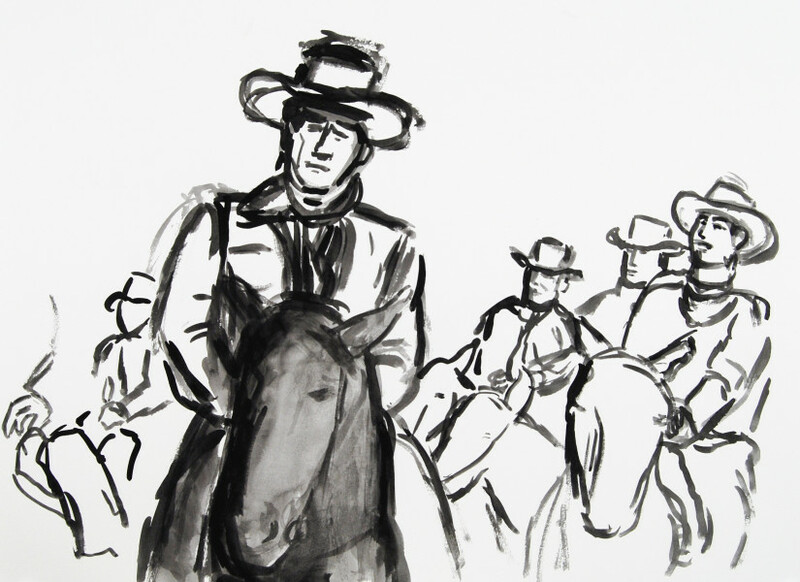 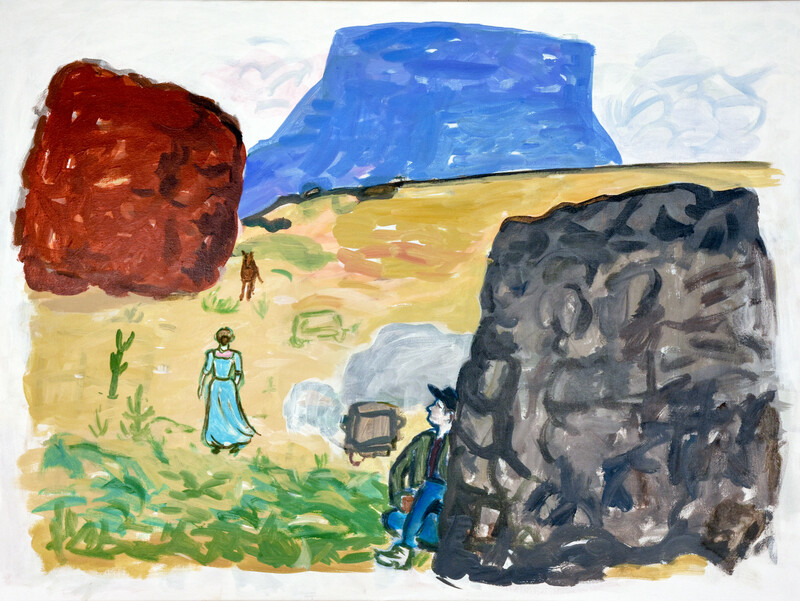 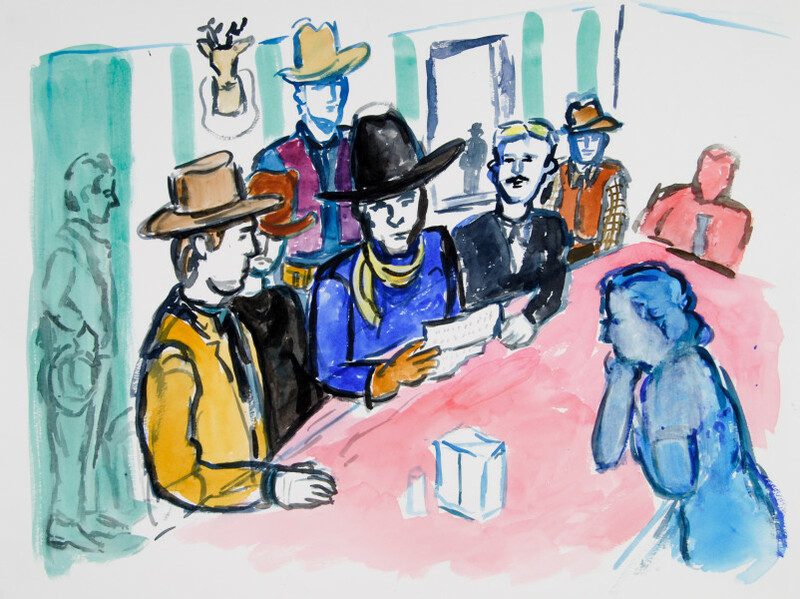 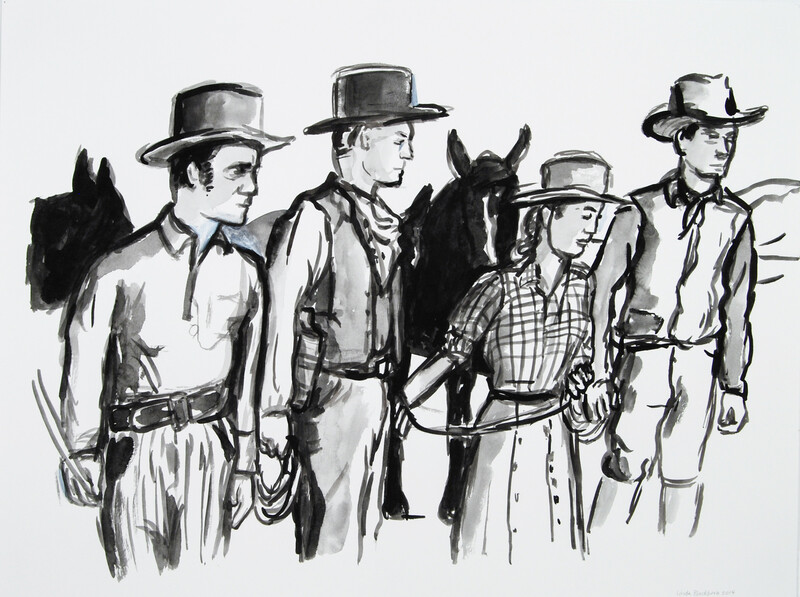 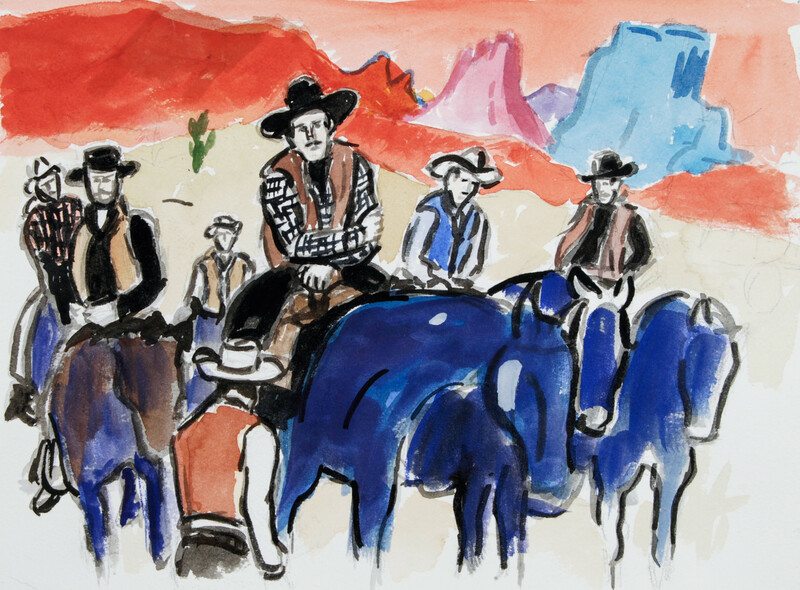 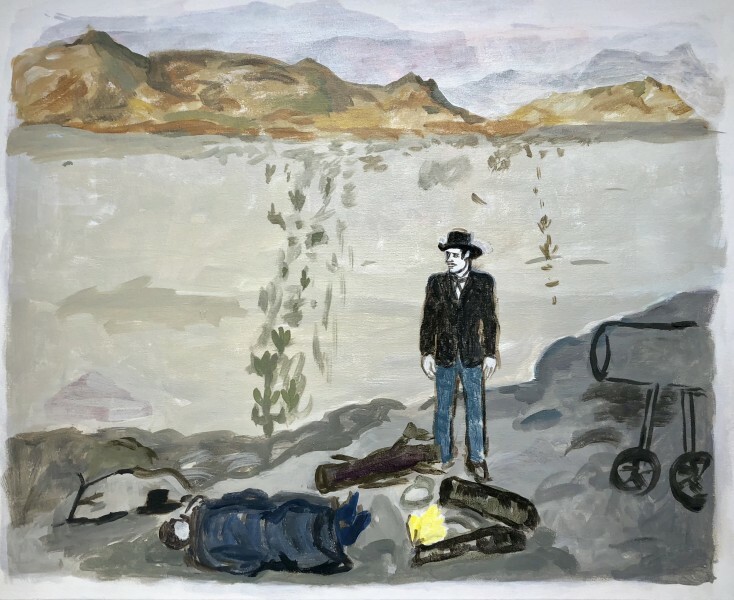 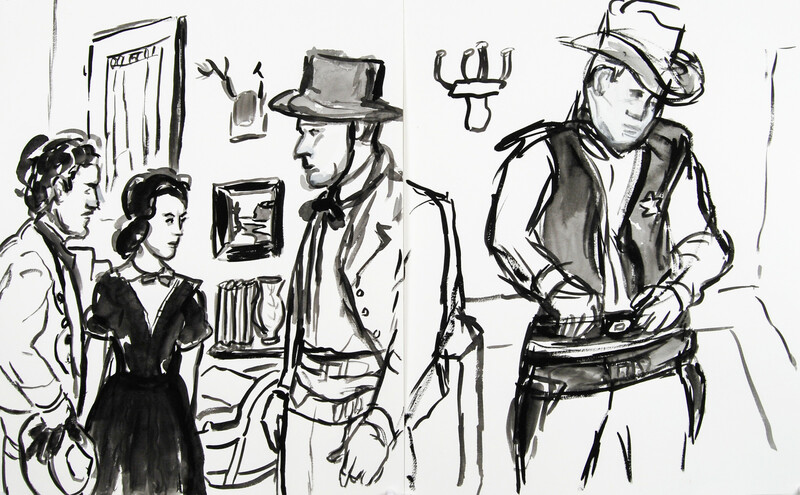 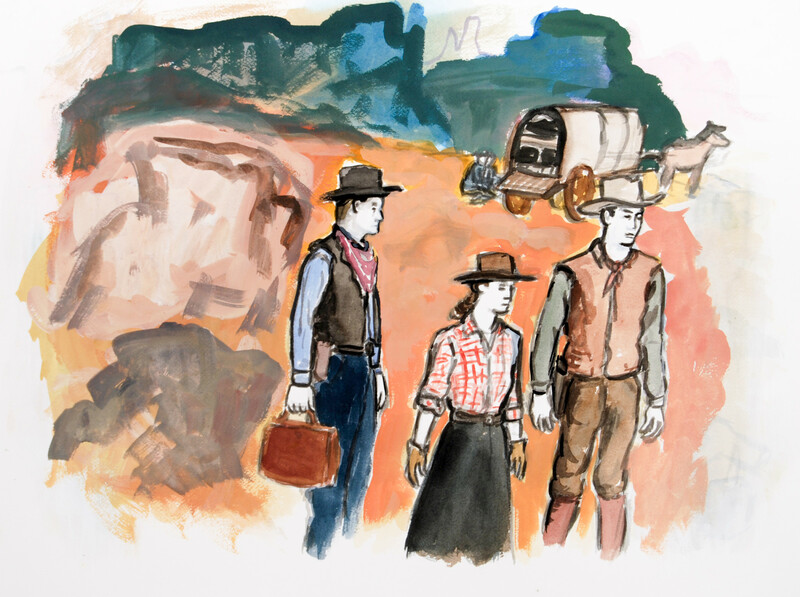 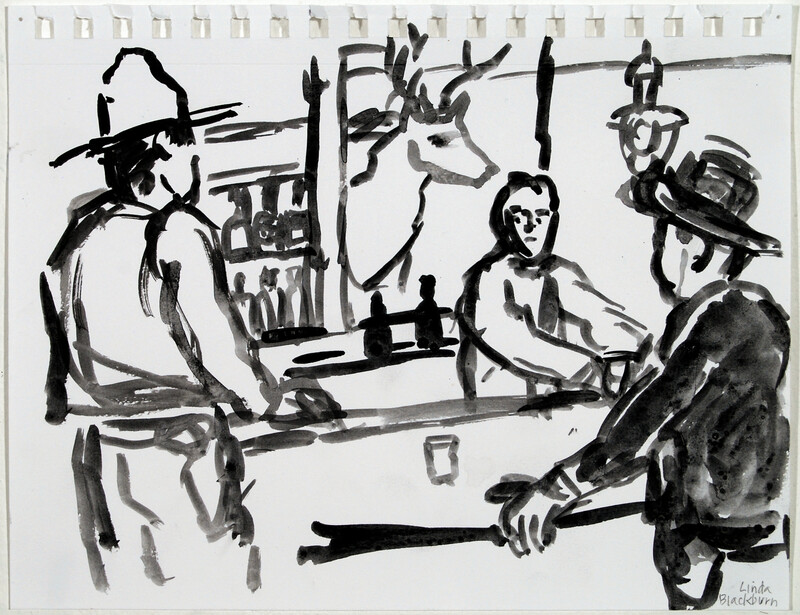 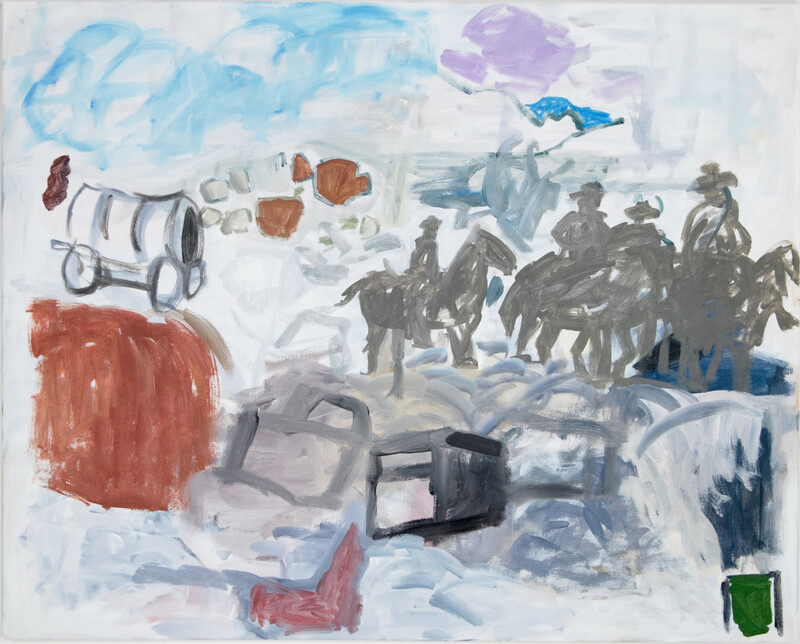 In her latest body of work-exhibited as The Law of the Saddle-Blackburn appropriates Western movies to further her ongoing exploration into the nature of painting itself. 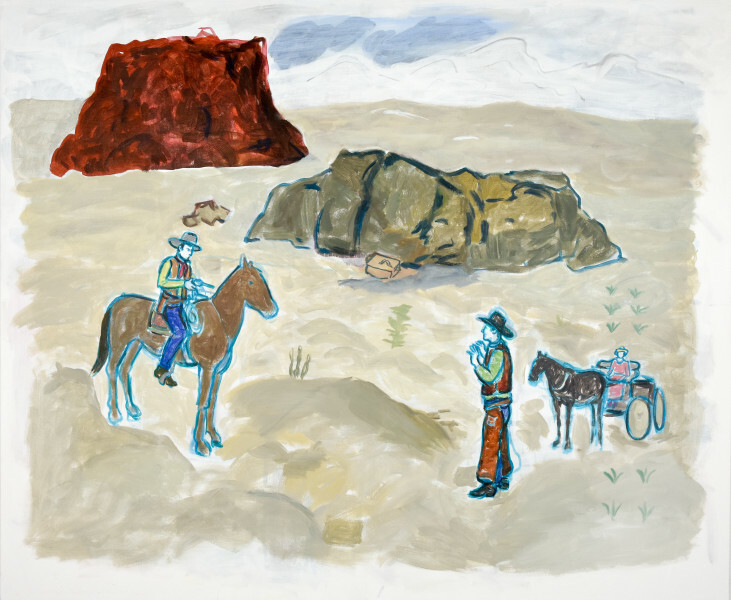 Artist Bio | Linda Blackburn, born in 1941 in Baltimore Maryland, has lived and worked as an artist in Fort Worth since 1966. 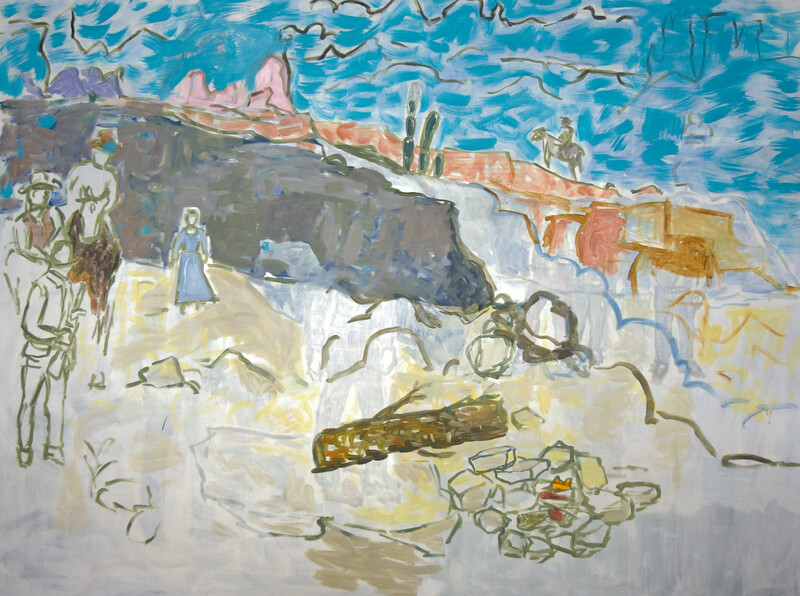 She received her BFA in painting from the University of Texas at Austin (1962) and a MA in painting from the University of California at Berkeley (1965). 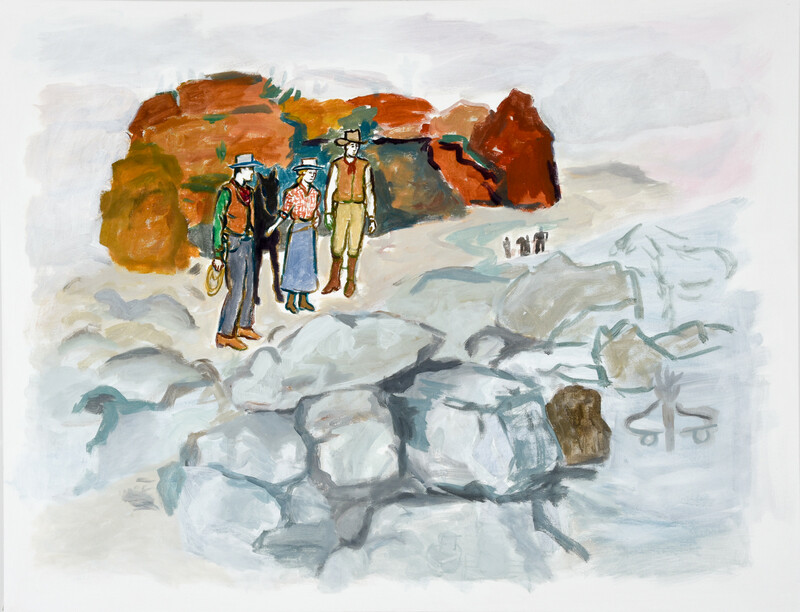 She received a National Endowment for the Art grant in painting (1990) and a Mid American/National Endowment for the Arts grant in painting (1988). 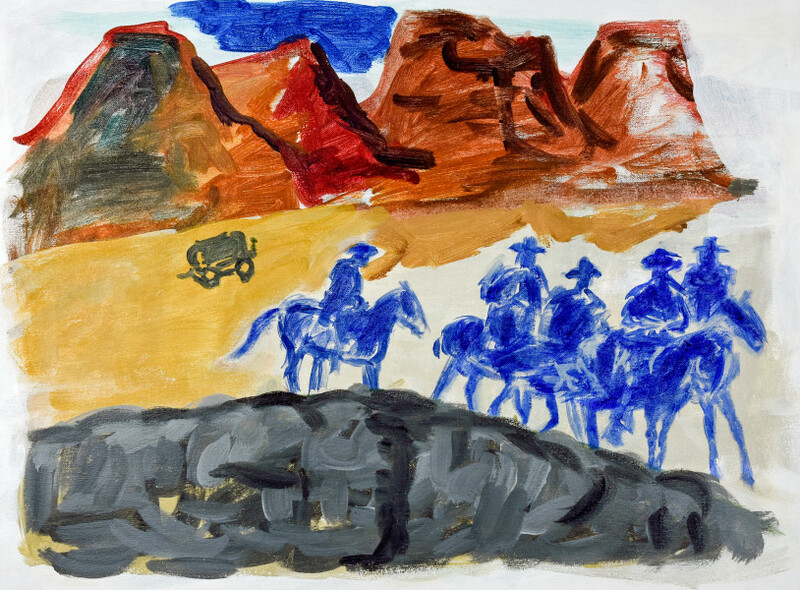 Her work is in public and private collections including the Modern Art Museum Fort Worth, the Amarillo Art Center Museum, Mint Museum in Charlotte, NC., Southwest Craft Center, San Antonio, The Crescent Collection, Dallas and DFW Airport.